Now available for a tasty, spicy, savory experience in Original, Chicken, Beef and Shrimp. Buy now online and at selected retail stores, coming soon to more stores nationwide. Try one, try all three and tell your friends! Who can resist this noodle-slurping, mouth-watering, veggie-chopping action? Watch it once, watch it twice, put it on repeat, and share it with your friends. 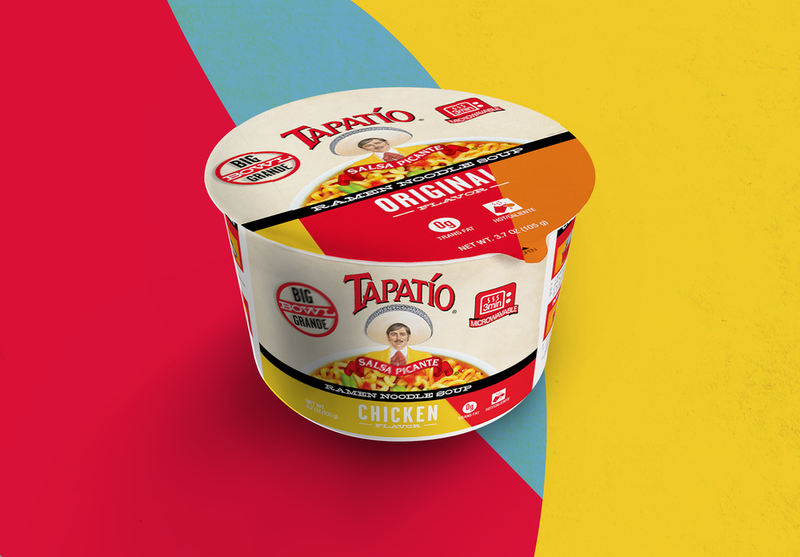 Copyright © 2018, Tapatio and All Associated Logos are the Registered Trademarks of Tapatio Foods, LLC.WEBSITE Hosted by ©United Exchange Corporation, Proud Licensing Partner. All rights reserved.